Customers wanting to use PCI compliant EMV PIN Pads through Vantiv will use our interface to Vantiv's TriPOS cloud service. It's simple and provides secure P2PE credit card processing using EMV PIN Pad. EMV PIN Pad refers to the physical device used to swipe, tap or insert credit cards for processing. If you have questions about any of these steps please ask us before you proceed. You want this to get done right the first time. Edit the file MENUCARD.FIL and make sure the first line is "EP". If you see "S4", delete it. For the WIRED EMV PIN Pad. Plug in the EMV PIN Pad per the manufacturer's instructions. Sometimes a USB adapter is included but it isn't needed, just use the network connection in the back of the device. This will usually require a network connection with access to the internet so consult with you IT professional if you're not sure how to accomplish this. With most devices, an external power supply will also be needed and should be supplied along with the EMV PIN Pad. Even if there are no extra network jacks you can install a small and inexpensive network switch to provide multiple network connections from a single jack. The network plug in the EMV PIN Pad should be clearly labeled but if you have trouble identifying it, contact the manufacturer. If the EMV PIN Pad is going to be used in a location where the guest will be present at the time the payment is made, please try to make sure the PIN Pad is accessible to the guest by providing cables that are long enough to reach. This will further reduce the chance of a compromised credit card. If the credit card never leaves the guest's possession your less likely to have the card number stolen. 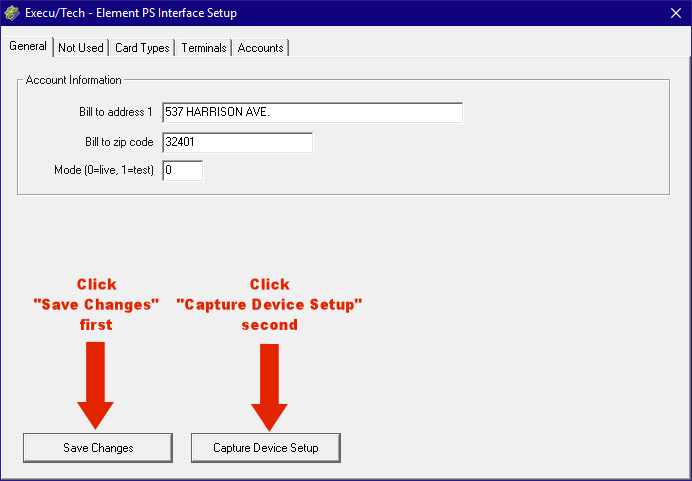 If the EMV PIN Pad is properly configured you will see an Activation Code displayed on its screen. This code changes every few minutes so there's no need to write it down. You'll need to check the current code when you get to the step that asks for it. The EMV PIN Pad requires an internet connection. 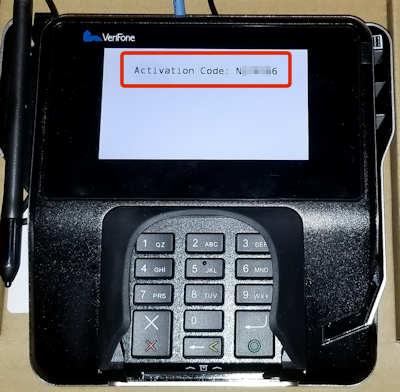 If your PIN Pad doesn't display the Activation Code or the TriPOS logo, then your device may not be connected to the internet or a firewall may be blocking it. If you don't see the activation code or the TriPOS logo, you can not continue. Obtain an account with Vantiv and make sure they know you will be using the TriPOS cloud service. We can help you get this started, just ask. Provide Execu/Tech Systems, Inc. with the settings from Vantiv. Using the Run Program By Name instructions, run the program "MENUEPCO". In the General tab, enter the street address, zip code and set Mode to 0. 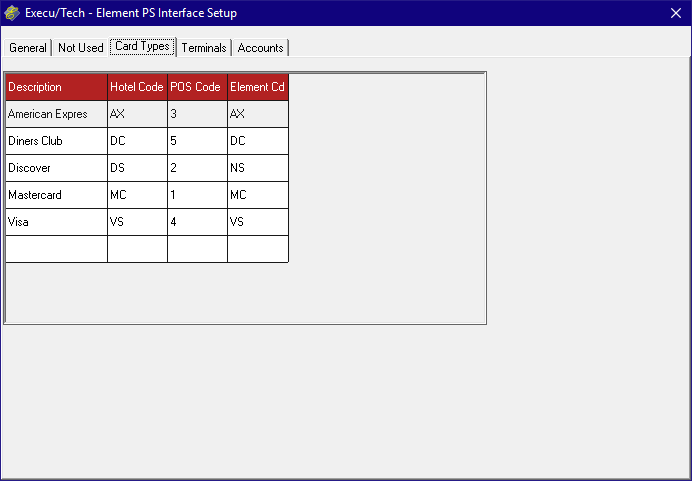 In the Card Types tab enter the corresponding credit card codes for each application. In the initial setup, we set up the Accounts tab first. This is because we need the accounts to configure the terminals in the Terminals tab. these accounts represent a merchant that's been set up for use with Vantiv. It's common to have more than one because of the differences in the payment processes between a hotel guest, a restaurant guest, or a direct bill guest. The Account Id and Account Token are provided by Vantiv. The Description is to help you identify the purpose of the account (POS, Hotel, AR, etc.) and is very helpful when you have multiple merchants. 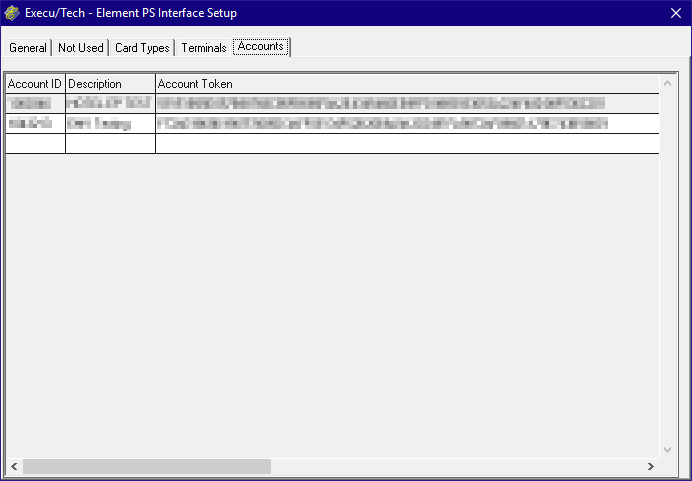 Scroll over to the right to reveal the Acceptor Account and the Terminal ID. The Acceptor Account is the same as the Vantiv Acceptor ID. The Terminal ID is the Default Terminal ID provided by Vantiv. If all terminals use the same Account ID settings, then all terminals can be defined on a single line, as shown in the example. Terminal ranges that use different Account IDs than other terminals must each me defined on a separate line. 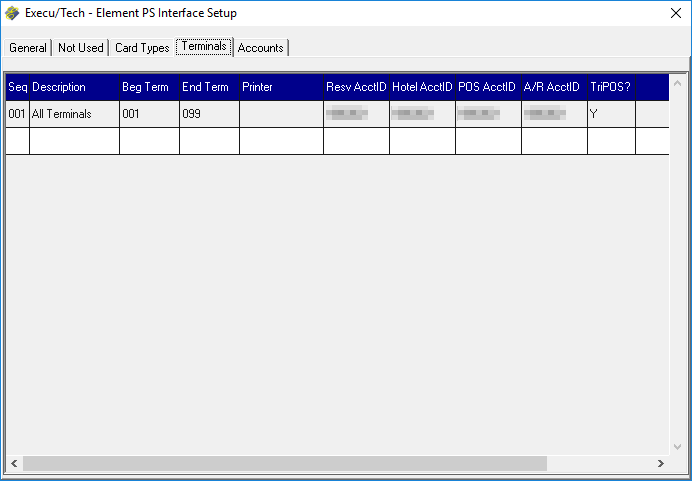 A common example of this is when multiple companies are configured in the PMS and each has its own set of Merchant IDs. Now go back to the General tab. 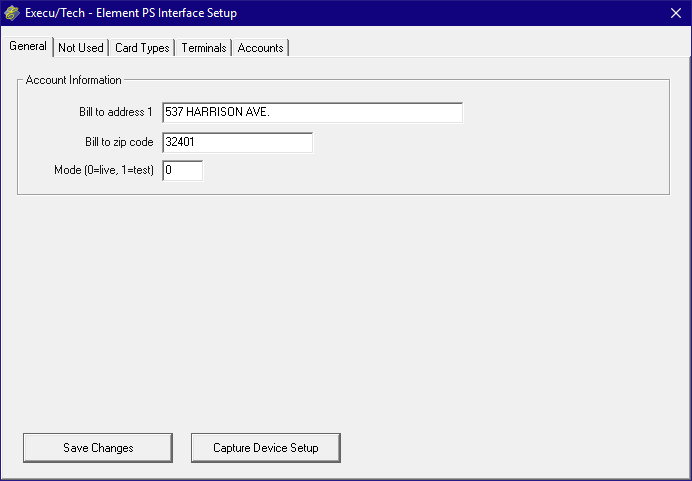 The Lane ID will default to the current terminal number but you can change it if you're configuring an EMV PIN Pad for another terminal. The Terminal ID will default to the one configured for the terminal number you're on. If it is different than what's displayed you can change it. Enter a Terminal Description to help you keep things organized. After clicking Set you may have to wait a few minutes. 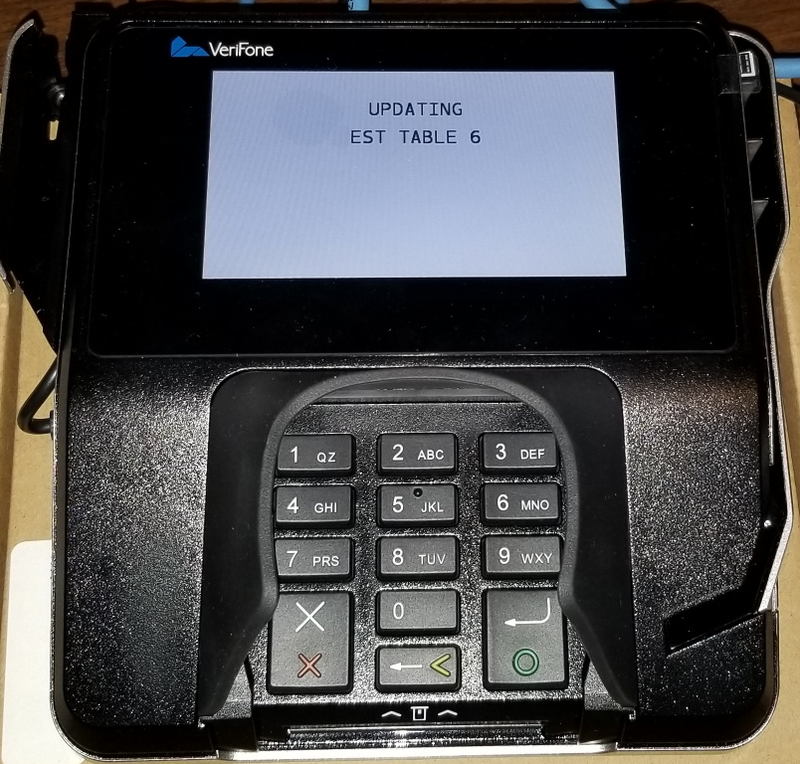 During this time the EMV PIN Pad is being configured by Vantiv and you may see the screen update several times. 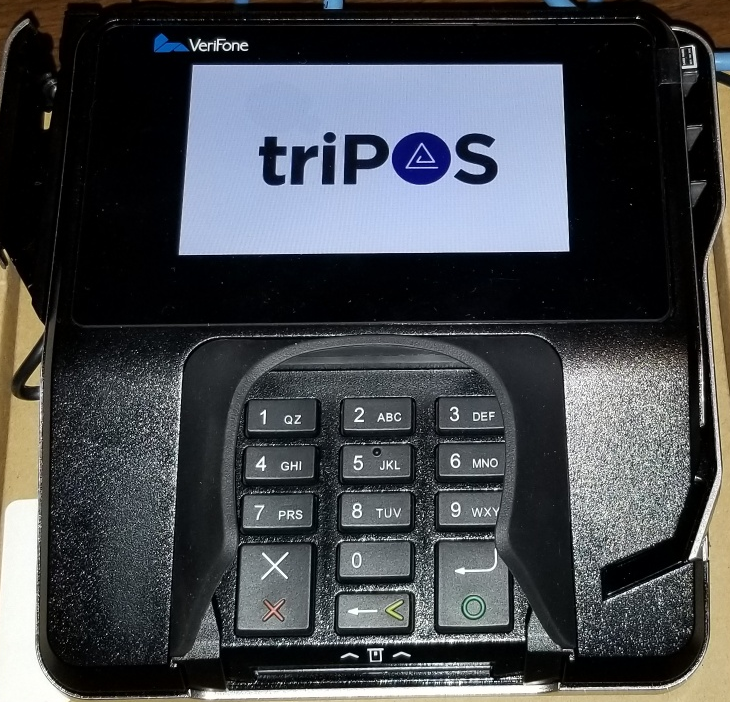 When the EMV PIN Pad is finished with its setup, you'll see the TriPOS logo displayed on the screen. You'll also see that the Vantiv Cloud EMV Config window has updated with the response from Vantiv. 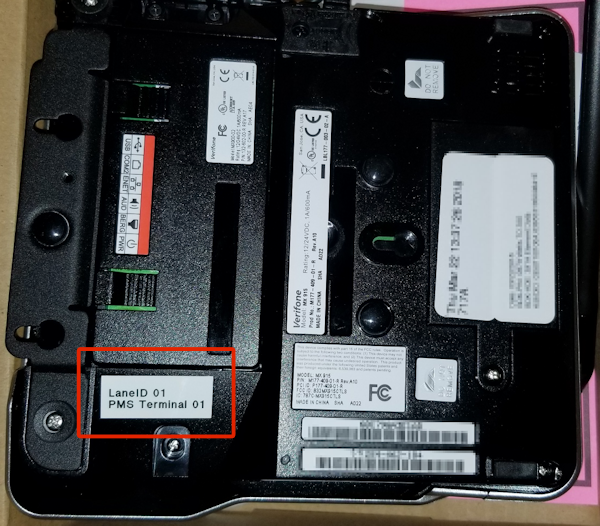 We recommend putting a label on the EMV PIN Pad with the Lane ID and PMS Terminal number so it can be easily identified should there be a need to move it or troubleshoot problems. DO NOT COVER THE SERIAL NUMBER! Your EMV PIN Pad is now configured and ready to use! 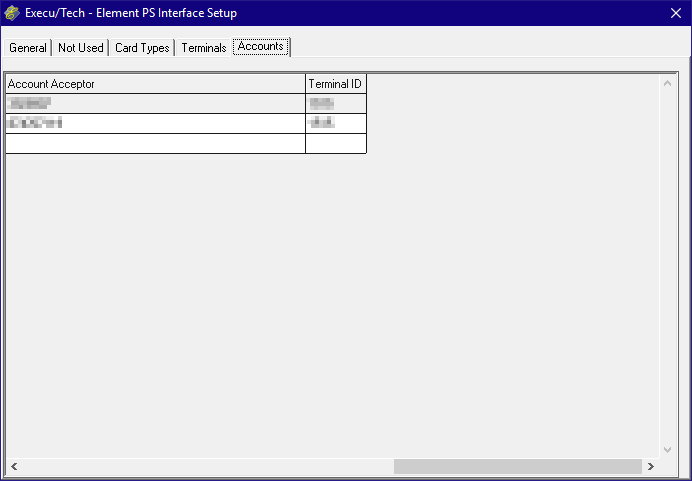 You can close the Vantiv setup windows and test the EMV PIN Pad by attempting to validate a card in a reservation.